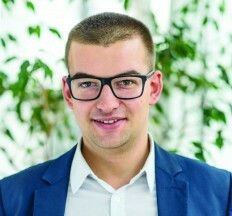 Mr Mariusz MARSZAŁKOWSKI, Project Assistant in the European Civilization Chair at the College of Europe in Natolin, published an opinion piece on BiznesAlert.pl, a leading Polish analytical portal dealing with energy and security issues, about the perspectives of Nord Stream 2 pipeline completion. The article analyses the impact of the severe winter weather conditions in the Baltic sea on the rate of pipeline construction works and current progress this controversial investment. According to analyses, which include logistical aspects for investments and environmental approvals issues, there is still no certainty that the project will be completed and fully operational by the end of 2019, therefore the plans of Gazprom to reduce gas transit through Ukraine after the existing contract expires, might not be implemented.